Here’s your chance to ask our elected officials about laws passed during the 2019 Legislative session in Annapolis. State Senator Brian Feldman and Delegates Kathleen Dumais, David Fraser-Hidalgo and Lily Qi will participate in an open forum on legislation and issues affecting Maryland, Montgomery County and District 15. This week we highlight our exceptional precinct official Pat Levee, Precinct Chair at Robert Frost Middle School in District 15. 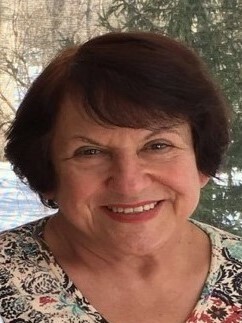 Together with her Precinct Vice Chair, Linda Burgin, Pat created and mailed a postcard to every voter in her precinct in the 2018 General Election. The postcard introduced her to voters and emphasized the importance of voting the Democratic ticket. This personal touch motivated voters and added new friends and allies. Pat has held countless meetings and phone banks at her house and is unfailingly generous with her time and hospitality. We salute Pat for her creativity, energy, hard work, and commitment! While Pat has been doing an excellent job, all of the following precinct official positions in District 15 are VACANT!